Green tea, which is native to India and China, has been hailed for its various health benefits for centuries. Above all the benefits of Green tea, it is the weight loss benefits that make people go crazy about drinking Green tea. Unlike the regular teas, Green tea is made from unoxidized leaves and so is likely the less processed form of tea and hence it is rich in antioxidants and beneficial polyphenols. Researchers have found that people who drank Green tea 2 to 6 times per day for a period of 3 months have lost 5% of their overall body weight. They actually done nothing or changed anything in their lifestyle except they’ve substituted their habit of drinking regular Tea or Coffee with Green Tea (of-course, without sugar or artificial sweeteners). Listed below are some popular health benefits associated with drinking Green Tea regularly. According to the National Cancer Institute’s study in laboratory and animal studies, it is found that the Polyphenols in Green tea have been shown to reduce the growth of tumor. So, it can not only cure some types of cancers but can also prevent them from appearing. In a study conducted on nearly 40000 Japanese individuals aged between 40 and 79 for about 11 years, it is found that those who drank a minimum of 5 cups of Green tea every day had a significantly lower risk of dying from heart failure or cardiovascular disease when compared to those who drank less of it per day. It is also found that consuming Green tea on a regular basis reduces the risk of stroke in many people. Green tea, according to a study published in 2011, has been found to reduce LDL or bad cholesterol levels. Although, the weight you lose through drinking Green tea is very less compared to what you lose through a low carb diet, it is highly recommended as it boosts your metabolism and improves heart health, which is very important from a weight loss perspective. 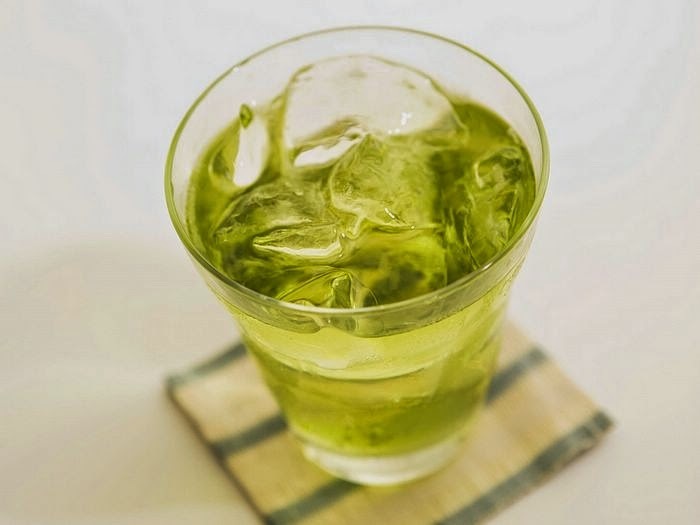 Here are a few little to no known side effects of drinking Green tea for adults. If you’ve severe sensitivity to caffeine, you could experience nausea, insomnia, anxiety, upset stomach, or irritability. If you’re on anticoagulant drugs (blood thinners) such as Warfarin/Coumadin, you should either limit the intake or completely avoid due to its Vitamin K percentage. It is also highly recommended to avoid drinking Green tea and Aspirin as the combination reduces the clotting effectivness of Platelets. Don’t consume Green Tea along with stuulant drugs as it could spike your blood pressure levels as well as your heart rate, which is not good. Word of Caution: People with following conditions/situations should not consume Green tea – Womean who’re either pregnant or breastfeeding, those with heart/liver/kidney related issues or high blood pressure or stomach ulcers, or anxiety disorders. So, if you’re looking to improve your overall health along with losing some fat without skipping foods or exercising, then you should better shift to the Green zone. 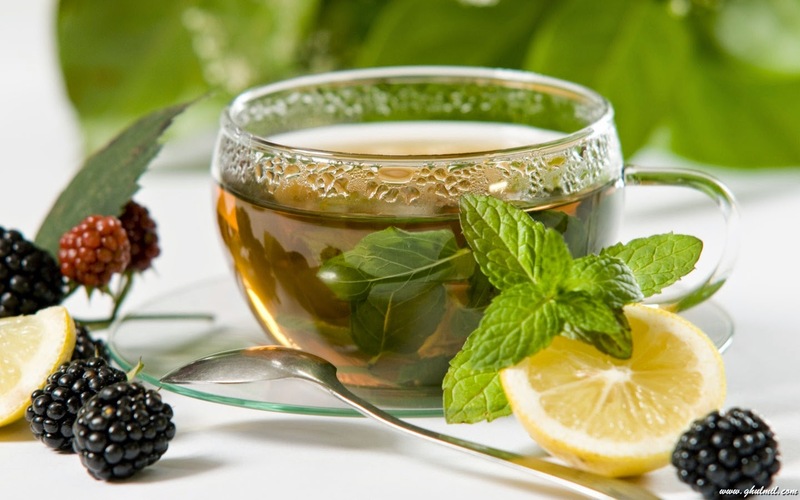 To make the most out of your health drink as well as to prevent boredom, here are a few best Green tea recipes for weight loss to try at your home. Also find different herbal teas for weight loss. Here is a list of healthy hot & cold Green tea recipes that are extremely refreshing and delicious at the same time. 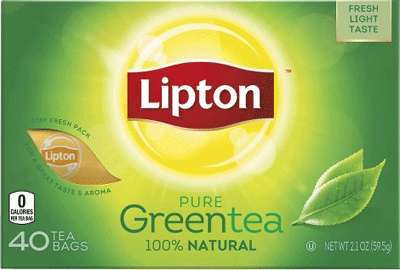 I personally use either Lipton or Tetley Green Tea as they’re pure & budget friendly. This is the untouched or the original version of the Green Tea. You can simply add a half slice of Lemon to a cup of hot water with 1 Green tea bag dipped in. This pure Green tea is best for weight loss and at the same time improving your immunity system. This special iced tea is a very simple low-calorie recipe which is both refreshing and it lowers your risk of getting diabetes and aizheimers. Take a cup of water (room temperature). Put the tea bag in it and move it back and forth slowly a couple of times (15 secs). Leave the tea bag in the cup and keep it in the refrigerator for about 5 minutes. Take it out, add sweetener (your choice) and serve chilled Green tea. Unlike the Iced Green tea, in this recipe we add the flavors of lemon grass and ginger, thus adding more taste to your tea. 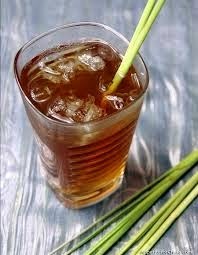 Add the lemon grass (crush it) and ginger slices into the cup of boiled water. Now, dip the tea bag in the cup and store it in a refrigerator for about 5 to 10 minutes. You can then add sugar or honey to the cup and enjoy the iced Green tea. 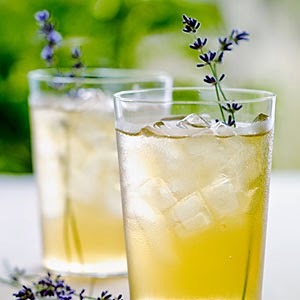 The recipe is very simple and is almost similar to the lemon grass & ginger iced green tea except that you replace lemon grass & ginger with dried lavender blossoms and spring lavender (optional). This tea will energize you for sure. You can get the lavender blossoms from any natural food stores. There are few other Green tea recipes such as Kiwi & Mango Smoothie, Green tea cranberry spritzer, green tea & blueberry smootie etc… but since your sole motive here is to lose weight drinking Green tea, we haven’t mentioned those recipes in this article. However, we’ll be publishing another article in a couple of days where you can know about those additional Green tea smoothies. Note: For better results, drink at least 3 to 5 glasses of Green tea (any of the above 4 options) per day. Next Post:How Did Parineeti Chopra Lose Weight with Diet & Exercise?